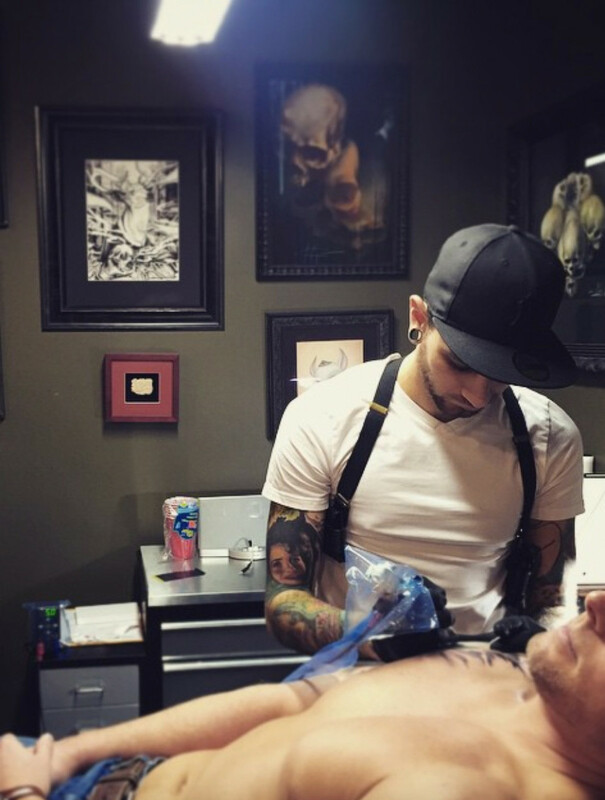 Don't even think of getting inked until you read this. Something you didn&apos;t know about me: I&apos;m a huge tattoo fan. 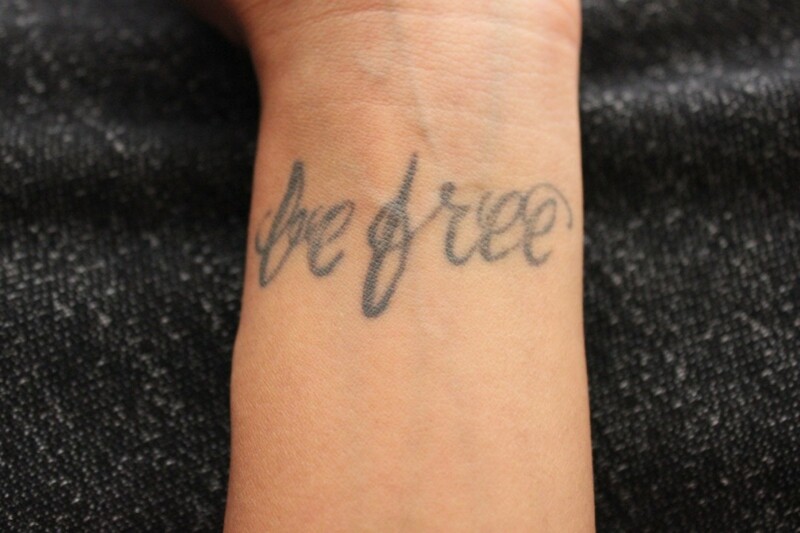 The tattoo on my wrist reads: "Be free." 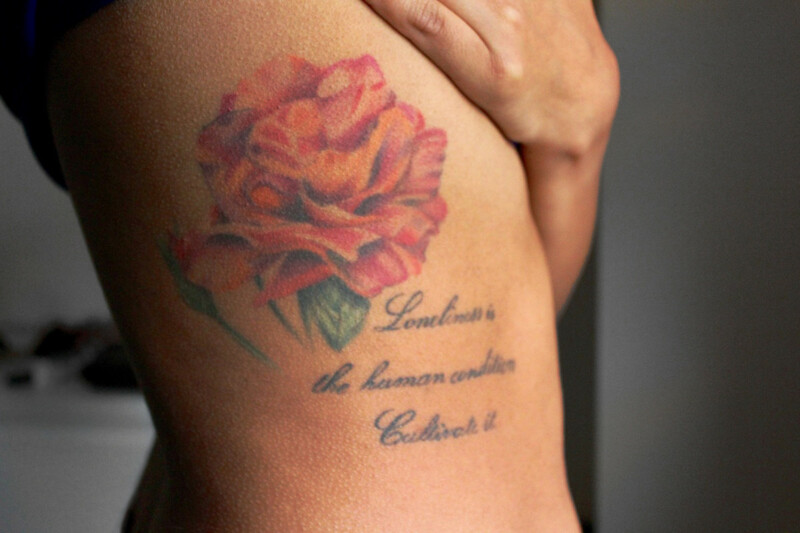 The tattoo on my ribcage reads: "Loneliness is the human condition. Cultivate it." It seems like everyone and their grandmother has a tattoo these days—actually, even my grandma tattooed herself as a teen!—so they&apos;re not going anywhere soon. Since tattoos are great conversation starters, I get asked a lot of questions about making the commitment. 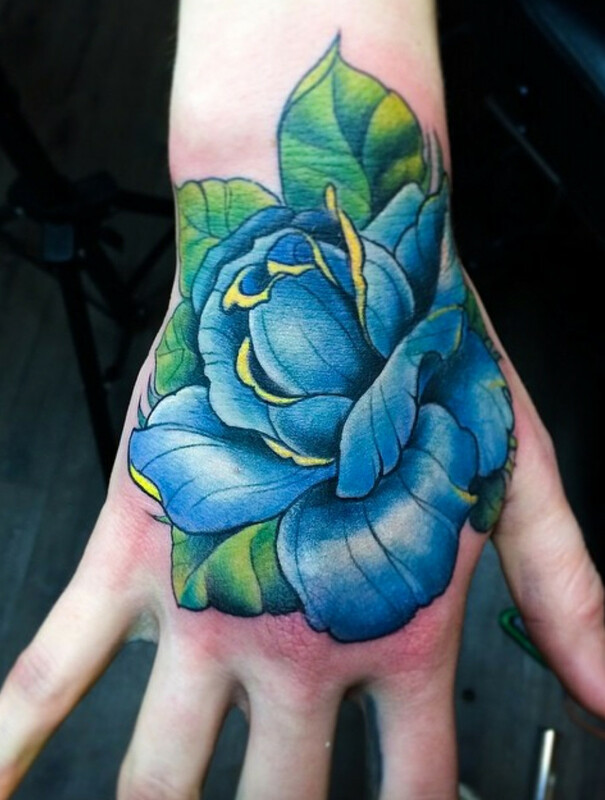 Floral hand tattoo by Mor Mogli Cohen. Know why you&apos;re getting a tattoo. Not all tats need some deep, personal meaning. You can just want something on your body because you think it&apos;s beautiful (it IS art, after all). Nevertheless, because of the cost, pain and relative permanency, don&apos;t get a tattoo just for the sake of having one. Do your research. I can&apos;t stress this enough: feeling safe and comfortable in the shop and with the artist who is doing your ink is the MOST important part of the tattoo process. This includes everything from understanding their health and safety protocols to having a shared vision of what the finished piece will look like. Find a reputable shop. Hepatitis C is no joke. Research tattoo shops in your area, and ask tattooed friends about their experiences. Go in and look around. The shop should be clean and artists should be wearing gloves and using sterile equipment on clients. Ask as many questions as you need to find out the shop&apos;s protocol for keeping clients safe. Owners are often around and willing to answer any questions a potential client might have. My insanely talented tattoo artist, Mor Mogli Cohen. Meet the artist in advance. If you don&apos;t have your heart set on a certain artist, check out a few different artists before choosing one. It&apos;s super-important to meet with your artist in person and discuss your ideas before you make the appointment to get inked. 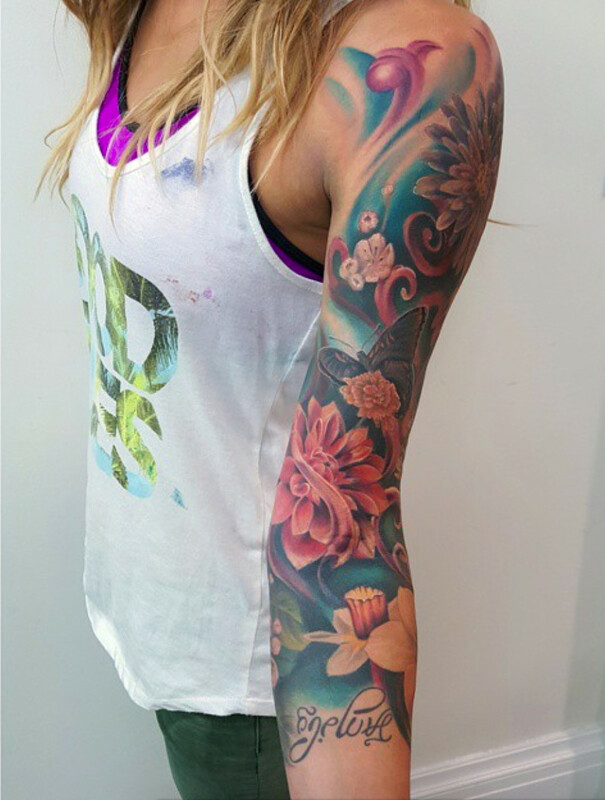 Tattoo artists have wildly differently styles, so make sure to also look at their previous work. Don&apos;t be afraid to disagree with a suggestion or to ask questions—your artist absolutely wants you to be a satisfied client. All the tattoos shown in this post are credited to my insanely talented artist, Mor Mogli Cohen of Chronic Ink in Toronto. Know the cost. Tattoos are a get-what-you-pay-for experience. Trust me, you don&apos;t want a $20 tattoo. Ask about fixed costs and hourly rates, and get an estimate for your tattoo. Remember that if you&apos;re looking for a large or colourful piece, you&apos;re probably going to have multiple sittings. Excluding tips, I paid about $75 for my all-black wrist tattoo, and $500 for the colourful, hand-sized piece on my ribcage. Consider placement. Professional industries often discourage large, visible tattoos that clash with the standard conservative dress code. While times are changing (and I know some accountants with sleeve tattoos! ), recognize that perception still matters in the corporate world. How could you cover up your ink, if you need to? When I worked at a law firm, a watch could easily cover my wrist tattoo during client meetings. In any event, just don&apos;t end up like this girl. Colourful arm tattoos by Mor Mogli Cohen. Know your pain threshold. When considering placement, it&apos;s helpful to know how well certain body parts tolerate tattooing. Everyone is different, but generally speaking, the bonier the body part, the worse the pain. Your determination also helps! I may tear up over stubbed toes, but I also have a ribcage tattoo that took seven hours in one sitting. Spellcheck your ink. Make sure to verify the spelling and accuracy of any words, names and dates you&apos;re planning on including in your tattoo. Write it down for your artist. Check it again on the stencil. We&apos;ve all heard the Bob with two o&apos;s joke. Prepare your skin. Leading up to the appointment, keep the area that will be tattooed in good condition. Don&apos;t exfoliate vigorously or do anything that could irritate or inflame your skin. Avoid waxing for at least a week prior to your appointment. (If there&apos;s hair, your artist will shave the area just before tattooing you.) Be sure to cover your skin when out in the sun—I can&apos;t even imagine the agony of getting a tattoo on sunburnt skin. Keep the area well-moisturized, but otherwise, leave it alone. Don&apos;t get a tattoo under the influence of alcohol or drugs. A reputable shop isn’t going to tattoo you if they suspect you’re not sober. But also, getting something as permanent as a tattoo should really happen when you have a clear mind. If you&apos;re feeling really nervous, talk to your artist or consider rescheduling... don&apos;t self-medicate! Dress comfortably. Depending on the body part, make sure you&apos;re wearing something you can easily remove for the appointment. Your clothing should be loose-fitting (read: no compression gear); remember that you need to put it back on when you&apos;re done, and the area will be tender. If your tattoo is in an awkward spot, you can either accept that you&apos;ll be exposing a lil&apos; somethin&apos; to your artist—or bring a scarf or bandanna to strategically cover up. Prepare for blood. If blood makes you queasy, this may not be an experience for you. (Sorry, but it&apos;s true!) My wrist tattoo bled extensively, but my ribcage only beaded blood. You may not bleed at all, but you should prepare for it. Bring your pain management tools. Pain is part of the experience, but your artist can advise about the possibility of using a numbing cream or spray beforehand. It wears off pretty quickly, but it can ease the initial shock of the tattoo gun. Do not take any form of painkillers without the express approval of your tattoo artist. Certain meds are blood-thinners (meaning even more blood will flow from the tattoo) and can affect how the ink adheres to the skin, which can result in blurry or discoloured tattoos. Limit the spectators. Some shops have strict rules about the number of guests who can view the tattooing process. Find out how many people are allowed, and don&apos;t crowd the artist at work. It&apos;s great to have a support person there, but one is usually enough. Enjoy the experience! For me, tattooing feels like a pen being scribbled on my skin a little too hard. Pain is inevitable, but the results have always been worth it in the end. Trust in your artist and ask questions along the way. Follow your artist&apos;s after-care instructions. Once you&apos;re inked, your artist will wrap your tattoo with a non-stick bandage and give you some tips on home care. They know best, so follow their advice. They want you to have a perfectly healed tattoo. You can always contact them again if you have questions. Leave the bandage on. The wrap is there to protect your skin, so don&apos;t rush taking it off. The length of wear time varies by artist, so follow their directions for how long to wait, and then remove the bandage. Don&apos;t re-wrap it unless you are explicitly told to do so. Keep it clean. This is so important for avoiding infections and helping your tattoo to heal properly. Once you&apos;re allowed to remove the bandage, avoid submerging your ink in water immediately. Wash your hands, and then hand-wash your tattoo extremely gently using an unscented, anti-bacterial wash. Splash some water on it to rinse it off, and then let it air-dry. Showering is usually fine, but avoid really submerging your ink for two to three weeks. That means no baths, swimming pools, saunas or hot tubs. Apply ointment. After washing, allow your tattoo to dry uncovered and without any lotions on it for about half an hour. 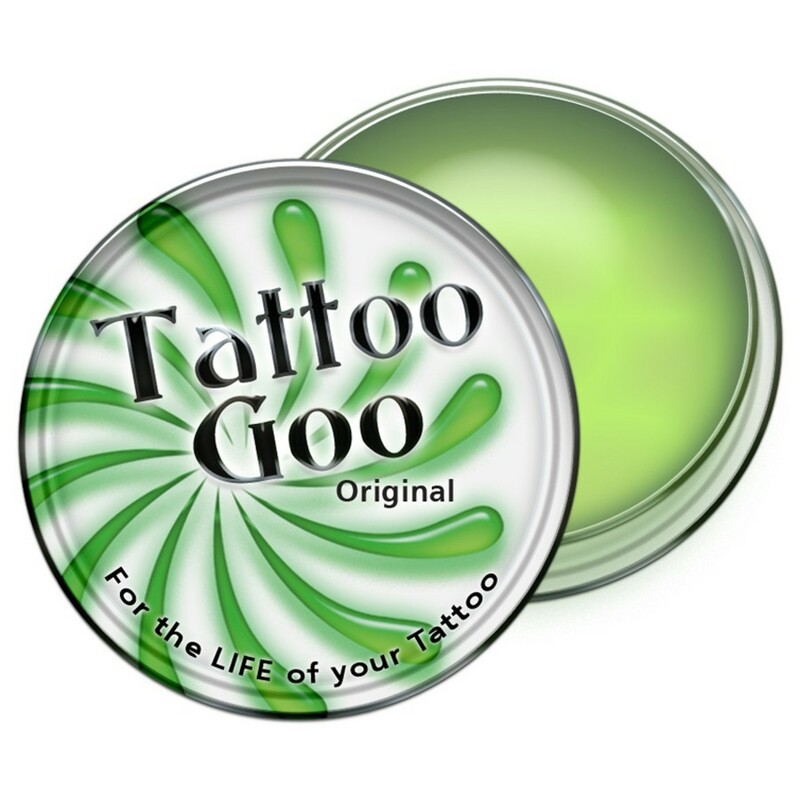 Once it&apos;s completely dry, you can apply a tattoo ointment. Your artist will be able to recommend one (and their shop likely sells it), but the famous Tattoo Goo and Bacitracin also work well. Avoid petroleum-based products like Vaseline, which can clog your pores and pull out the ink from your tattoo before it has healed. Using a clean finger, rub the ointment gently over your tattoo until it is absorbed. Only apply a small amount, so you don&apos;t suffocate your skin. You&apos;ll want to wash, air-dry and apply the ointment about three times a day until your tattoo starts to peel (in my experience, this takes about five days). Switch to lotion. After your tattoo starts to peel, you can apply a mild, fragrance-free lotion instead of ointment for the remaining weeks. Avoid lotions with scents, colours, tanning agents, beads, glitter, etc., which could all irritate your skin. Again, if your artist gives you different instructions, follow his or her advice. Don’t freak out about the scabbing. After my seven-hour ink session, I panicked when my tattoo appeared dark brown instead of the poppy pink I&apos;d asked for. After a week of dutifully following the wash-dry-ointment regimen, my tattoo finally began to peel, revealing my beautiful ink below. So don&apos;t rush the peeling process—hands OFF and don&apos;t pick or scratch at it. 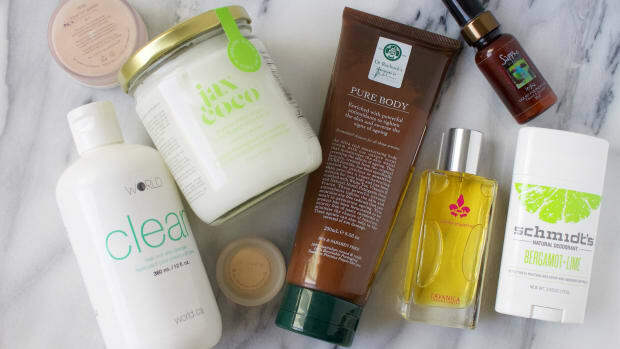 Your body knows what it&apos;s doing; just keep moisturizing and it will heal on its own. Baby your tattoo. Treat your tattoo the same way you&apos;d treat any other wound. Help it heal by keeping it out of direct sunlight, salt water and chlorine. Don&apos;t shave, exfoliate or wear tight-fitting clothes over the area. Consider how you can avoid getting sweat, dirt and other pollutants on it. Accept the timeline. It will take about a month (give or take a few weeks) for your skin to fully heal. If you follow your artist&apos;s directions and keep the tattoo clean and well-moisturized, all should go well. Doing anything that could cause further injury to the skin will definitely impede the healing process, so factor that into your planned activities. Touch base with your artist. Most artists will check in with you in the weeks following your tattoo. Let them know how the healing process is going and ask any questions. If something doesn&apos;t seem right—like lingering pain or no peeling after a week—definitely talk to them about it. (Of course, seek medical attention right away if you&apos;re ever in immense pain.) If you&apos;re returning for multiple sessions, make sure to find out how long to wait and when to book your next session. Also let your artist know what you think of the tattoo itself. He or she wants to know if something is bugging you about your tattoo—or if you&apos;re just totally obsessed with it! Are you thinking about getting a tattoo, or do you have one already? What do you wish you knew beforehand? And look 1,000 times more flawless! 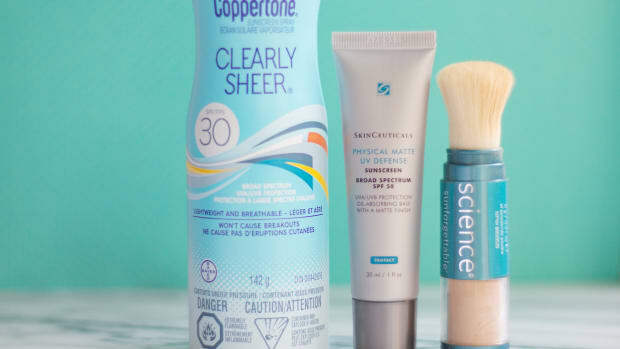 You don't have to smear off your foundation to stay protected from the sun. 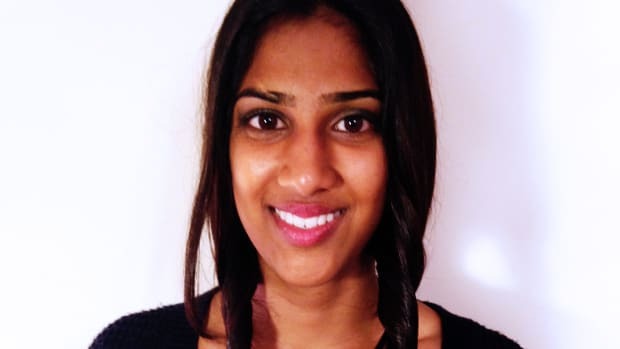 You don't have to go "full hippie" to make a few safer beauty choices. In a pinch? 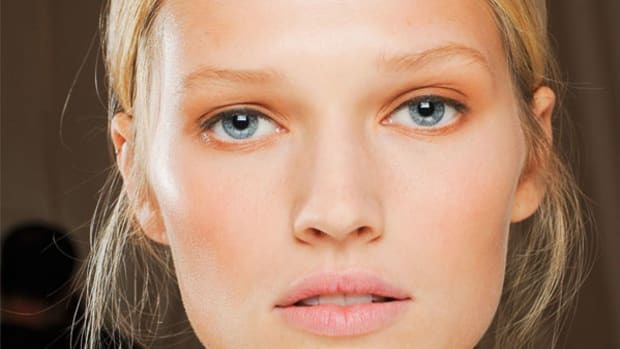 Just play MacGyver with these time-saving, problem-solving beauty tricks. Going through a breakup? How to look your best when you're feeling your worst. 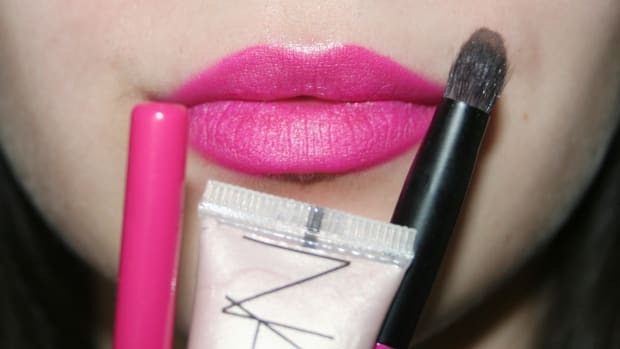 5 great tips for wearable vampy lips.